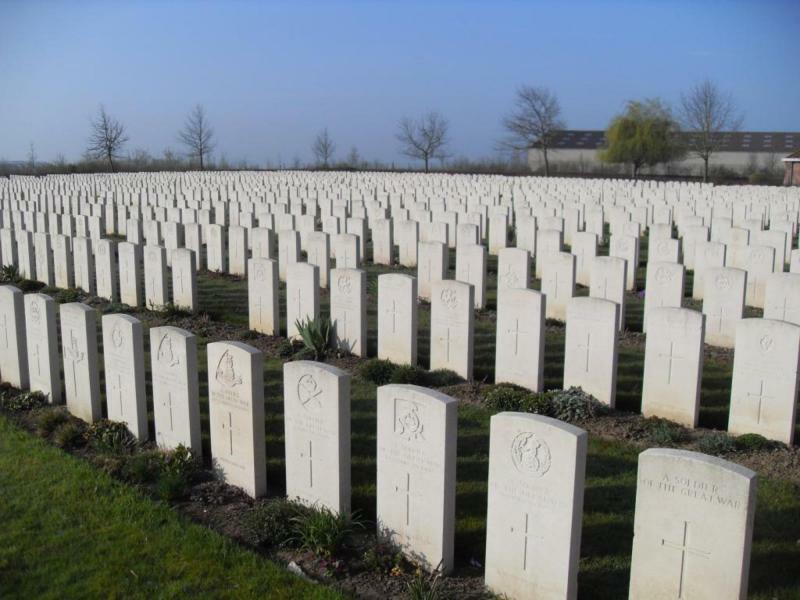 The cemetery was named after the next door farm by British units. Cement House Cemetery is an example of a concentration cemetery where graves from other sites were brought in. For a long time it was also the only Commonwealth burial site that worked with an open register to allow new graves to be added. 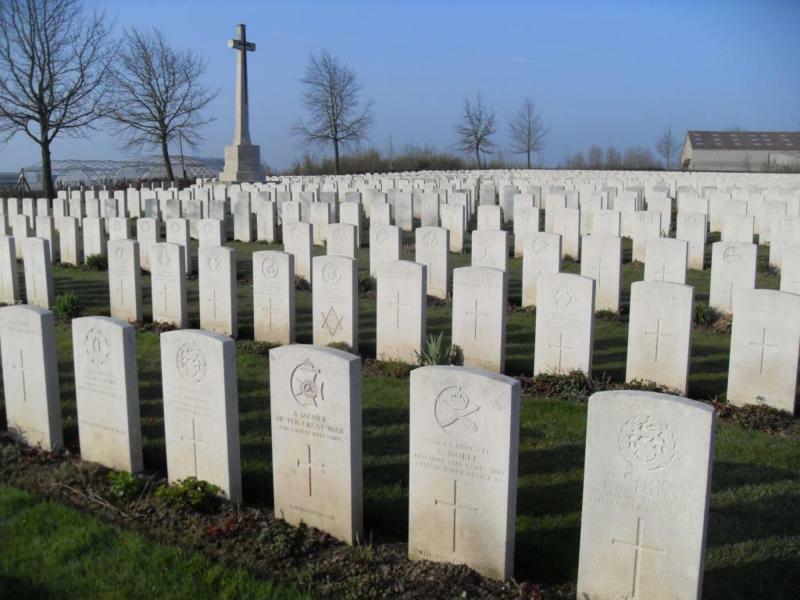 Many of the British casualties recovered in recent years in the industrial zone along the canal, found a final resting-place here.